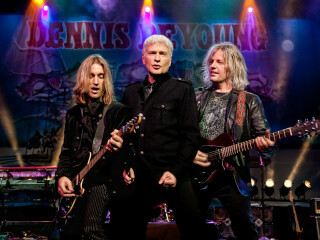 Dennis DeYoung is a founding member of the rock group Styx. The Chicago-based band originated in 1962 when 14-year-old DeYoung and brothers John and Chuck Panozzo gathered in the basement of his childhood home to form one of America's most successful and enduring bands. Styx has sold over 35 million albums worldwide and DeYoung has written eight of their nine top ten singles. He wrote and sang several classics including: "Lady," "Come Sail Away," "Best of Times," "Mr. Roboto," "Show Me the Way," "Desert Moon," "Don't Let It End and Babe."